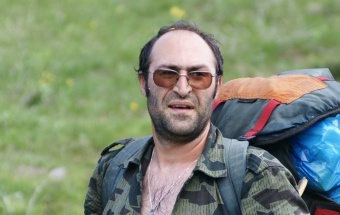 Georgi Kuzmanov, the chairman of “Via Pontica” conservation foundation, founded by him and is managing the Birdwatching and wildlife tour operator company “Via Pontica Tours”. He studied environmental law in France and has a MSc degree of Tourism from the University of Sofia. He founded the Bulgarian Society for the Protection of Birds of Prey in 1990, one of the most active NGO’s in Bulgaria. Georgi has participated in numerous scientific and conservation-related projects, especially in France and Bulgaria and other countries. 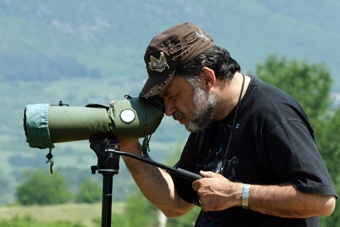 He has guided many birdwatching groups in Bulgaria for more than 20 years. 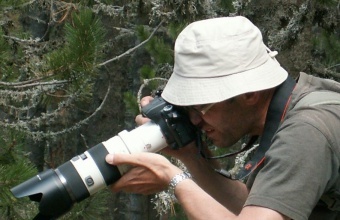 Assen Ignatov is one of the most experienced birdwatching and wildlife guides in Bulgaria. He has a MSc in biology from the University of Sofia and now he works in National Natural History Museum in Sofia. Assen is also excellent wildlife artist with many painting and drawings in numerous books, calendars and others. He was awarded in 2002 Birdwatch Artist of the Year. He leads birdwatching, wildlife, butterflies and photography tours. Lyubomir Profirov (Lyubo) lives in Sofia, where he was born in 1955. He graduated Sofia University with a diploma for the Autumn migration of soaring birds in 1981. He is a founder member of the Bulgarian Society for the Protection of Birds (BSPB), as well member of Green Balkan Federation. Since 1983 he has introduced the fascination of Bulgaria nature to hundreds of foreign birdwatchers leading mainly birds & natural -history tours. Lyubo is married and has son and daugter as well the most prety grandaugther. He is an author and co-author of monographs and popular books, field guides, scientific papers, management plans, environmental impact assessments etc. 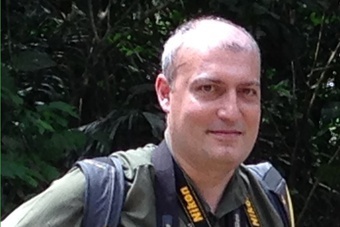 Tihomir Stefanov is enthusiastic naturalist and very keen in birdwatching. He has an MSc in biology from the University of Sofia and now he works in National Natural History Museum in Sofia. Mario Langourov is one the most knowledgeable entomologist in Bulgaria. He has a MSc in Entomology for the University of Sofia. From 2002 he has a PhD in the Institute of Zoology, Bulgarian Academy of Sciences. Author of many scientific publications, he participates in many scientific projects in the country and abroad. Mario is one of the best leaders for butterflies, dragonflies, wildlife and natural history tours. He is also very knowledgeable of Bulgarian history.